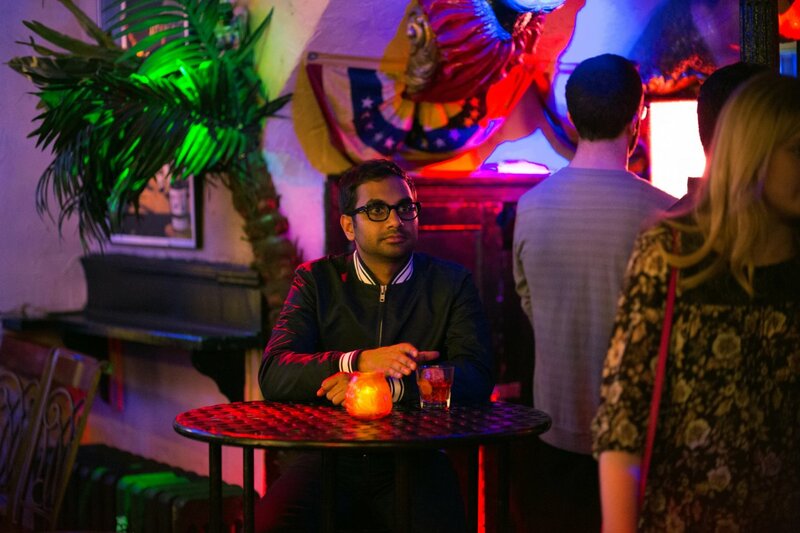 'Master of None' and the Problem of Casual Racism – AiPT! A new television series recently premiered on Netflix that I devoured instantly. It’s called Master of None, and there’s a good chance you’ve already binge-watched it as well, seeing as how everybody I’ve run to gushing about it has been equally in love with it. The brainchild of Aziz Ansari and Alan Yang, the comedy series follows Ansari’s Dev, an actor, as he navigates the trials and tribulations of being a thirty-something in New York City. The themes are relatable ones – watching your aging friends begin to settle down, hitting it off with someone only to learn they’re already in a relationship and figuring out what you want to do with your life. Then, there are the themes Master of None tackles that you wouldn’t see on Friends or How I Met Your Mother, such as the hardships minority actors face when trying to land roles. Sure, we watched Joey Tribbiani struggle to snag acting gigs for years, but he wasn’t Indian American. It’s through Ansari’s own personal experiences that we have a truly hilarious – and at times uncomfortably honest – look at how far society still has to go before we can put a neat little bow on the whole racial equality issue. As I’ve encountered casual racism for much of my own life, I’m ecstatic to see what the widespread acceptance of Master of None will mean for societal progress. The series’ fourth episode, “Indians on TV,” is a no holds barred assault on casual racism in entertainment. In fact, the first minute or so of this episode is a montage of Indian portrayals in pop culture (Fisher Stevens playing Indian in Short Circuit 2, Apu on The Simpsons, Mike Myers in The Love Guru, etc., etc.). The takeaway from these clips: if you’re Indian, it’s probably pretty offensive to see actors – who aren’t – furthering Indian stereotypes. If you haven’t seen the episode, Dev auditions for the part of an Indian cab driver. As Dev is an American, who grew up in America, he doesn’t have an Indian accent and uses his natural voice in the audition. He’s asked to do an Indian accent, refuses and doesn’t get the role. It’s disgusting, but a very real example of the types of casual racism lobbed around on a daily basis. Ansari has made no secret of the fact that he auditioned for a part in Michael Bay’s oh-so-racist Transformers film series and was asked to do an Indian accent. The role was that of a call center worker and Ansari, like Dev, refused. In a time of so much diversity for diversity’s sake in pop culture, it’s refreshing to see a diverse series that tackles issues faced by Indian Americans because its co-creator and star is actually Indian American. This problem took the form of casual racism and mostly reared its grotesque head during my school years, though I’m sad to report I still encounter it from time to time in adulthood. When I’d look in the mirror, I’d simply see me, but others would see darker skin than what they’re used to (I assume? ), or a last name that sets off their inner racist alarms (if only I could have told them that our future president would be named Barack Obama). Just a reminder to everyone, Pakistan is in South Asia, not the Middle East. Things really kicked into high gear once I reached high school, which is already stressful enough without the whole race thing. I played tennis as my spring after-school sport (I went to a prep school where such things were mandatory), and it was on the tennis courts junior year that one of my teammates took to calling me “Chris Hussein” and then eventually “Saddam Hussein” (he was very clever). What made matters all the more disgusting was the fact that this JV racist was also class president and loved by faculty. It was like when Lex Luthor became president and Superman and his fellow DC heroes knew he was evil, but their hands were tied. Then, September 11, 2001 happened right at the beginning of my senior year. While most students were focused on getting into college, I was afraid of being lynched. That’s no joke – there were rumors that the hockey team was going to lynch all the Middle-Eastern-looking students (could someone go back in time and explain to them the whole Pakistan not being in the Middle East thing for me?). A teacher even approached me in the halls to see if anyone was giving me trouble. I, of course, have more stories, but I’ll save them for my own Netflix original series. I will say, one of my favorite questions new people ask me is, “What are you?” I know what they’re asking, but I always start off saying “Polish” or “French” until they get frustrated and try to find a non-offensive way to ask why my skin is dark and my last name is Hassan. But it’s all these horrible experiences that made watching the first season of Master of None all the more refreshing. Dev/Aziz, I feel your pain – let’s grab tacos sometime and swap stories. Another reason why I respect Ansari and what he’s accomplished with Master of None is because I myself tried to take on racism through humor in my 2008 short film Americance (the title a mashup of “American” and “Ignorance”). The movie (embedded below for your viewing pleasure) focuses on Clayton, a British man trying to find the bus station in a small American town. Every person he approaches for help just can’t seem to get past his accent. My goal was to capture some of the ignorance I, and others, have had to deal with through exaggerated, silly humor (the characters Clayton encounters are designed to be grotesque caricatures). I’ll admit, I felt the only way to deliver my message of tolerance was through light comedy and a focus on an accent, rather than skin color. Perhaps now, in a post-Master of None world, I wouldn’t be so timid about taking on heavier subject matter. I don’t expect Master of None to eradicate casual racism, but my hope is that having such a critically acclaimed series one click away will make people think twice before saying or doing things that make individuals like Dev or myself feel like space aliens. Of course, I also thought we were beyond racism when we elected our first black president. Baby steps, I guess. Let’s start by not electing the guy threatening to erect a wall between the U.S. and Mexico.